Emerge victorious on the battlefield with our beginner's guide. 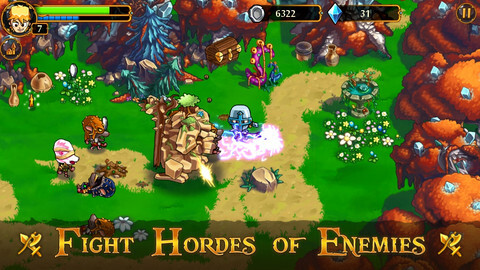 Earlier today we published our review of Gamelion Studios' League of Heroes. If you're currently getting your teeth stuck into this action-RPG, but are struggling to get ahead of the game, we've put together some handy hints and tips for you. Your energy bar depletes a little bit every time you head out into a quest, but it will refill over time (approximately 10 minutes). If you really want to rush ahead in the game, you can use your blue gems to top the meter right up, but this isn't a very cost-effective way to do things. Here's a real cheat for you. If you want an easy way to top up your meter, tap on the energy bar, then select Invite. From here, you can simply send an SMS text to your own mobile number as many times as you want. The game doesn't check that the recipient of the text did anything with it, and you'll be instantly rewarded! 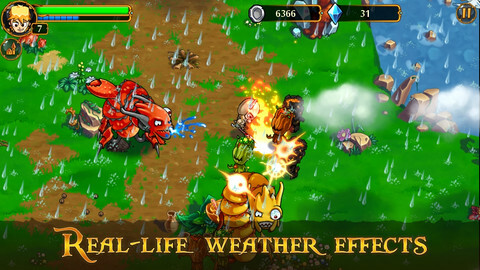 What do the real day and weather effects do? These are purely cosmetic and reflect the weather taking place where you are right now. 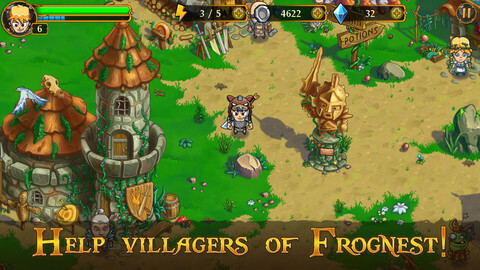 Your device will need to be connected to the internet for the game to be able to retrieve the information about your region. What does the Champion statue do? In the center of the village you'll see a golden Champion statue that flashes when you approach it. If you want to view your high scores against your Facebook or Game Center friends, you can access the leaderboards from here. How can I get more blue gems? There's only one way to get hold of more blue gems and that's to hit up the in-app purchase store. There are various bundles available, but prices vary by region so be sure to check on your own device before committing to a purchase. How can I get more silver coins? You don't need to purchase silver coins with real-life money if you have a little bit of patience spare instead! In the bottom right-hand corner of the screen there's a little tab marked 'Get free coins'. Click on this and you'll be taken to a list of promotional events and advertising you can participate in to get rewarded with a pretty decent chunk of change. Also, make sure to smash any pots you come across. These very often contain extra silver coins for your haul! As the name suggests, Daily Events only become available once per day but reward more currency for your efforts. Be sure to take part in these whenever they become available to maximize your earning potential! How do I get away from large packs of monsters? If you're finding yourself under a deluge of horrible monsters, you can always try running away, but to put real distance between them and you try heading over water. Monsters can't swim so you'll lose them in no time. How can I prevent a monster's special attack? 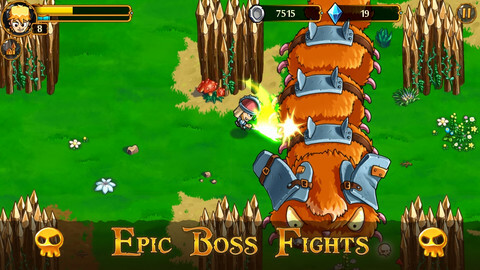 Most of the monster attacks can be blocked by simply hitting them very quickly so that their attack is interrupted. Be very careful not to get caught in the wrong place at the wrong moment though, as many of the more magical monsters can cause you some serious damage if you miss with your weapon.